After a long day at work i was sipping a glass of Pinot Nero from Lombardy, and let me say it : ‘ It was happy for what i was drinking ‘ . It is a grenish yellow color and very transparent. Yes is Yellow i am not crazy was a white wine made with Pinot Noir. Nice and elegant and at the same time persistent in the mouth with her apple and plum fruit. 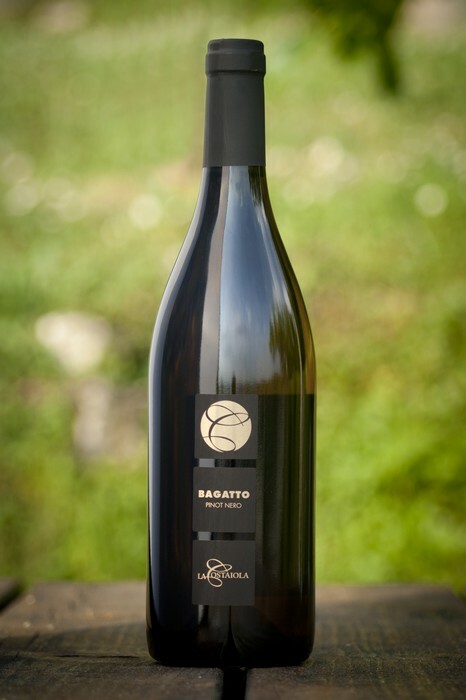 Bagatto shows an intense greenish yellow color and nuances of greenish yellow, very transparent. The nose denotes intense, clean and pleasing aromas which start with hints of apple, plum and hawthorn followed by aromas of pear, citrus fruit and peach. The mouth has good correspondence to the nose, an effervescent and crisp attack, however balanced by alcohol, good body, intense flavors. The finish is persistent with flavors of apple, plum and peach. Bagatto ferments in closed tank.